Alright, I am going to share with everyone a cool tool that has made my life so much easier. 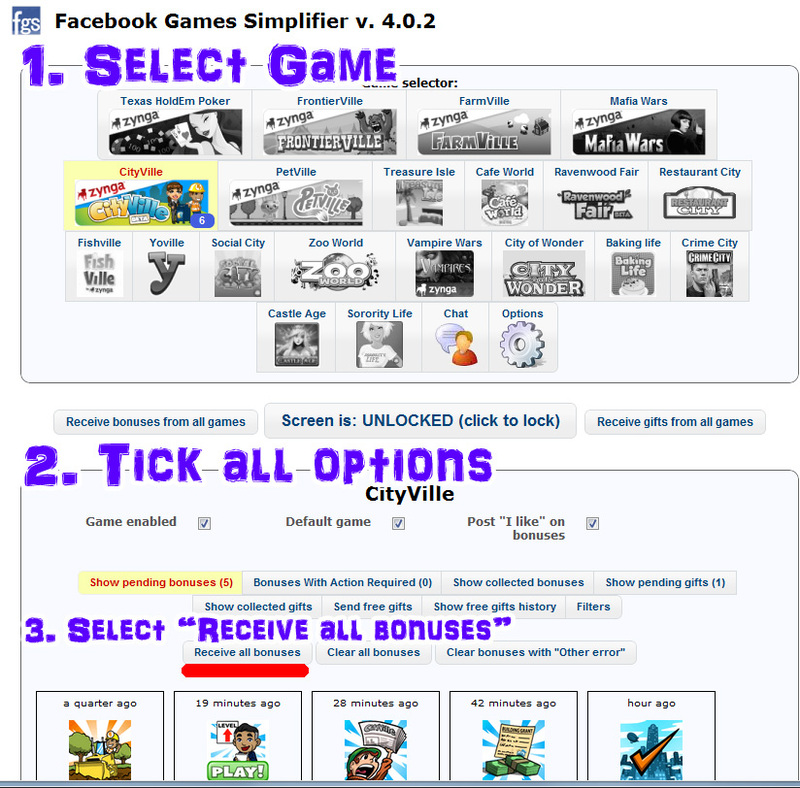 I am able to mass accept hundreds over CityVille requests and bonus thanks to this awesome tool. Just follow my screenshots as I guide you through this tool which will make accepting all the hundred over gifts/presents/items on Facebook so much more easily. Facebook Games Simplifer [download] You can only install this tool in Google Chrome.